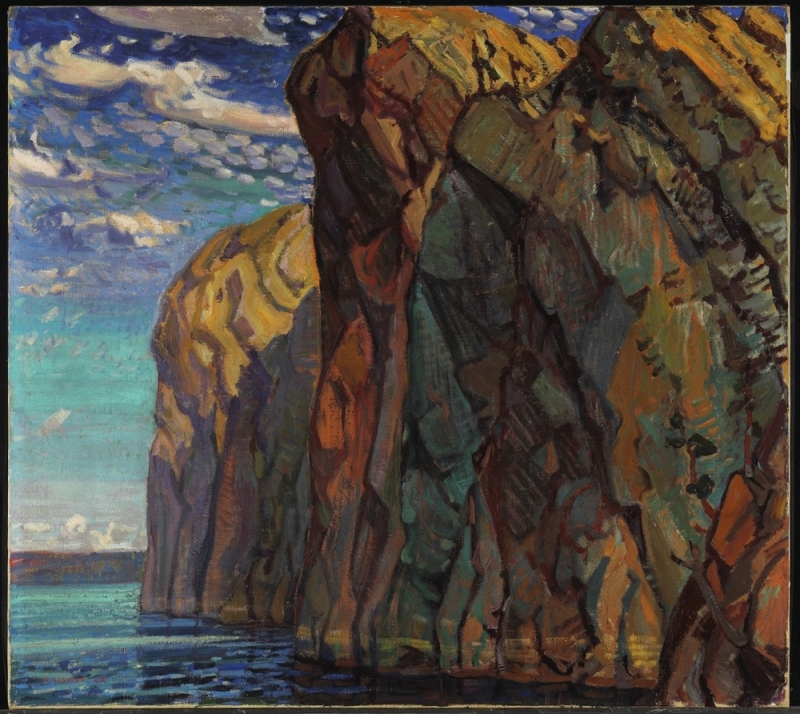 Arthur Lismer emigrated from Sheffield, England to Toronto, Ontario, in 1911. Soon after, through his employment at Grip Ltd., he would meet Tom Thomson and some of the other artists that would one day comprise the Group. 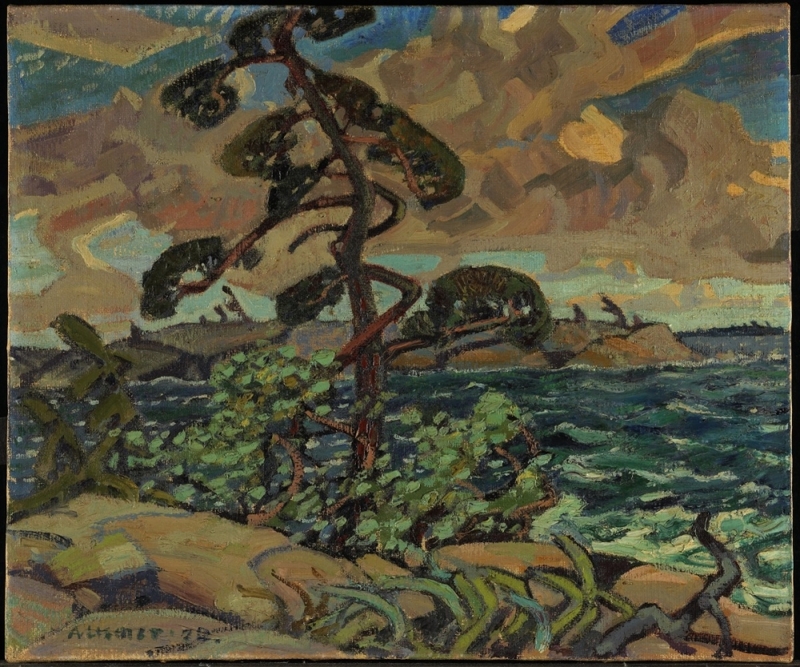 In the years leading up to 1920, Lismer often joined these artists on sketching trips to Algonquin Park and Georgian Bay, Ontario. He was always full of energy and possessed a barbed wit. 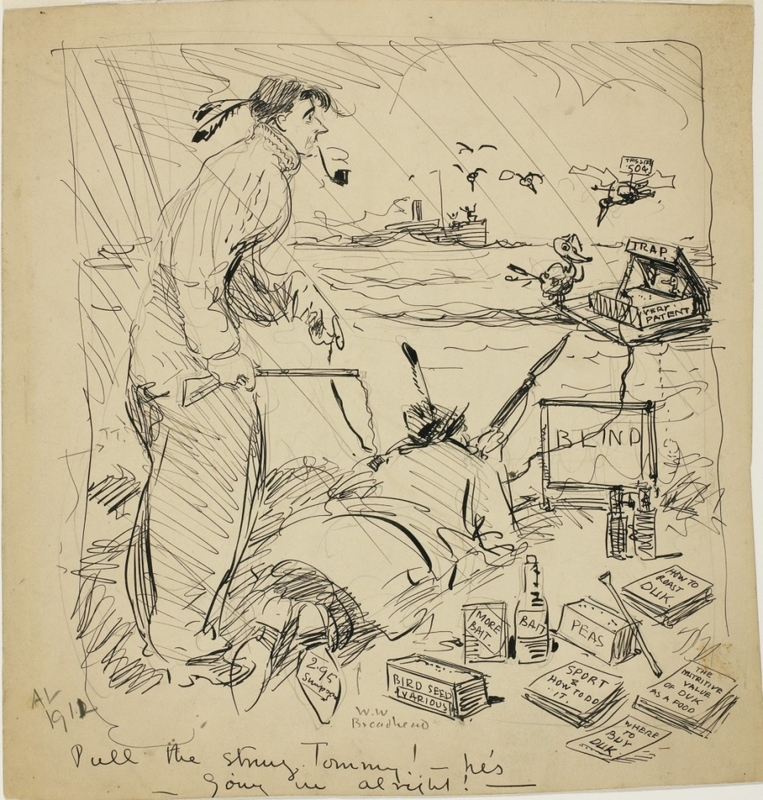 With pencil and paper always at hand, he delighted in creating clever cartoon drawings of his artist friends and those perceived to be enemies of their art. Nothing pleased him more than targeting the establishment and all things pretentious. With a strong commitment to teaching, Lismer established one of the most successful children's art programs in North America. In 1936, he set up school programs in South Africa. An active promoter of the Group of Seven and the author of many articles on Canadian art, Lismer continued to paint throughout his lifetime and is now buried in the cemetery on the McMichael grounds.